The higher education sector has been under serious crisis for the last several years. Over the last decade, the procedures introduced by the Higher Education Commission (HEC) have become overly bureaucratic and overly intrusive in university affairs. The HEC Ordinance clearly lays down what the commission can or cannot do. Universities must remain autonomous, governed by their own statutory bodies with the HEC playing only a supportive role. Therefore, the HEC needs to revisit its mandate and stick to it. There has been a tendency in politicians to announce the establishment of new universities or campuses to win votes without providing the appropriate funding to build an infrastructure or hire a faculty. This is reflected from the fact that while there were several universities which ranked among the top 500 in the world, according to the Times Higher Education rankings in 2008, when I resigned as the chairman of HEC, there are none today. The HEC should aim to bring the PhD faculty-student ratio to 1:15. At present, it is about 1:80, or poorer in most universities. To achieve this, the commission needs to stop establishing new universities/campuses and instead focus on improving the existing universities, by strengthening their faculty and research facilities. At present, most students completing their PhDs from home or abroad are not getting jobs in universities. This burning issue can be addressed by the HEC giving 50 percent weightage for university rankings to PhD level faculty-student ratio, so that there is an incentive to employ PhD level faculty. Emphasis should be on the quality of education and research, and not just numbers. Therefore, the HEC should set aside at least 50 percent of its annual development budget for two key faculty development programmes. The first should be to send at least 2,000 students abroad for PhD each year for the next 10 years, and ensure placements in universities a year prior to their return. The second should be to reorganise the ill-planned programme ‘for the rich’ initiated by the HEC for building a so-called ‘US-Pakistan Knowledge Corridor’. Launched with much fanfare by the previous government, the programme was doomed from the beginning as it envisages fee payment of over Rs10 million to be paid by the candidates themselves, and is therefore, beyond the means of most students. The fee and all other expenses should be paid by the HEC and should require the US government to legally commit that no US visas will be granted to candidates for at least five years after the completion of their training in the US. Precedence to this exists in the Fulbright programme initiated by me when I was chairman HEC. Introduction of the Tenure Track System (TTS) should be made mandatory in all universities for new faculty appointments. The HEC should link the magnitude of recurring grants to the implementation of the system. It also needs to restore the three-fold differential between the TTS and the Basic Pay Scale system which has eroded with time. Nowadays, universities are judged not by the size of their campuses or by student enrolment but by their research. This is measured through citations in the Science Citation Index, international patents, number of PhD degrees awarded annually and international honours and awards won by the faculty. 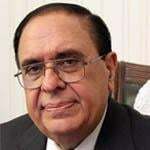 To strengthen research, at least 25 percent of the annual development budget (approximately Rs8 billion annually) should be set aside for funding research in universities, basic and applied, including promotion of innovation, establishment of technology parks, carrying out joint projects with industries etc. To facilitate returning students after completing their PhD degrees from foreign universities, the $100,000 research grant programme should be restarted. This programme was initiated during my tenure as chairman HEC but was subsequently abandoned. The research projects under this programme should be carried out in collaboration with foreign supervisors or another tenured faculty member in the foreign university where a student completes their PhD degree. This would result in thousands of international collaborations and help boost research standards in Pakistan. The HEC should also focus on promoting innovation and entrepreneurship so that students passing out of universities do not just become job seekers but have the ability to form new companies based on bright ideas and become job-givers. For this, it is necessary to introduce entrepreneurship courses in universities that teach students how to prepare a bankable business plan and the challenges involved in setting up successful companies. To facilitate this process, technology parks should be established in all universities so that new companies can be incubated and guidance is made available through financial and legal services. There will also be access to venture capital and specialised mentoring groups which could offer consulting services on voluntary basis. The largest technology park in the country, covering 40,000 square feet of office space and comprising sophisticated scientific facilities, was recently set up within the International Centre for Chemical and Biological Sciences (ICCBS) at the University of Karachi. This can serve as a model for others to emulate. Some 30 new companies are presently being incubated in it. The HEC can support this process by providing a revolving ‘innovation fund’ of Rs1 billion to such technology parks. The fund can be supplemented annually as it is utilised. The joint university-industry national self-reliance programme initiated in 2004, with at least 20 percent of the project’s cost being contributed by industry, for ‘industry-need’ driven projects also needs to be revived. To create some top level universities and research centres the seven best universities and research centres in the country should be picked up and transformed into islands of excellence. This could be achieved by tripling their grants and providing substantial additional development funds to promote research so that they can compete with institutions such as the University of Singapore or the Indian Institute of Technology. One of the most innovative programmes introduced by the HEC in 2004 was that of ‘open access instrumentation’. This allowed free access to sophisticated instrumentation to all researchers, with the bill for analysis being paid by the HEC. This allowed optimum use of existing sophisticated instrumentation, and reduction of duplication of existing equipment/ maintenance costs. However, it has been stifled by cumbersome bureaucratic procedures and lack of funding, with the result that the number of samples being analysed has dropped drastically. The procedures need to be streamlined so that the programme can be restored to its original dynamic form. To improve teaching standards, lectures freely available from Stanford, MIT, Harvard, Yale, University of California and the Khan Academy, that have been integrated on to one platform by the ICCBS, should be introduced in all universities in a hybrid system of education that combines distance learning with standard teaching procedures. The appointment of the new HEC chairman presents opportunities for change. This opportunity must be utilised with a sense of urgency so that Pakistan can become a strong knowledge economy. The writer is the former chairman of the HEC, and president of the Network of Academies of Science of OIC Countries (NASIC).